SMITHFIELD, Va., Sep. 21 /CSRwire/ - Following historic flooding and devastation in North Carolina in the wake of Hurricane Florence, Smithfield Foods, Inc. is donating 480,000 servings of protein through its Helping Hungry Homes® initiative to two local food banks and has committed $100,000 to the American Red Cross to support ongoing disaster-relief and recovery efforts in the state. 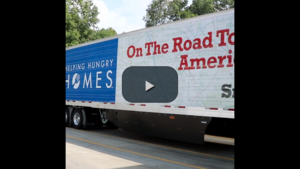 The company has mobilized their signature hunger-relief initiative, Helping Hungry Homes®, to donate 120,000 pounds of protein, equivalent to 480,000 servings, to the Second Harvest Food Bank of Southeast North Carolina and Food Bank of Central and Eastern North Carolina, which serve the communities impacted by the storm. Smithfield’s contribution to the American Red Cross will support the disaster-relief agency’s efforts to provide food, shelter, and relief supplies to the hundreds of thousands of individuals across the state who have been impacted by the storm and are in need of immediate aid. Smithfield will continue to work with response organizations to assess and support both the region’s immediate and ongoing recovery needs. In the state of North Carolina, the company has more than 10,000 employees across seven facilities and 200 company-owned farms. Smithfield Foods is a $15 billion global food company and the world’s largest pork processor and hog producer. In the United States, the company is also the leader in numerous packaged meats categories with popular brands including Smithfield®, Eckrich®, Nathan’s Famous®, Farmland®, Armour®, Farmer John®, Kretschmar®, John Morrell®, Cook’s®, Gwaltney®, Carando®, Margherita®, Curly’s®, Healthy Ones®, Morliny®, Krakus®, and Berlinki®. Smithfield Foods is committed to providing good food in a responsible way and maintains robust animal care, community involvement, employee safety, environmental and food safety and quality programs. For more information, visit www.smithfieldfoods.com, and connect with us on Facebook, Twitter, and LinkedIn.